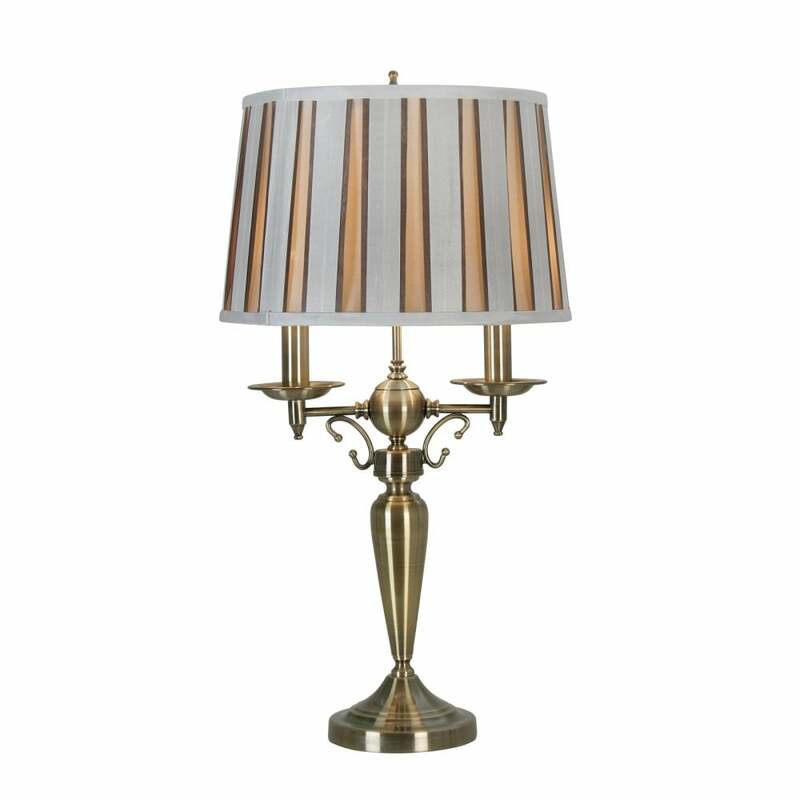 Oaks Lighting Wesh 2 light table lamp features a candelabra style old finish base with decorative detail holding a drum shaped white fabric shade with dark and light gold stripes. The product code is TL 476 GO. This elegant design will sit well in traditional style decors and the combination of gold and white finish adds a classic touch, operated by an inline rocker switch located on the cable.